Strolling along in Wat Mahathat. The first time I stepped off the bus in Ayutthaya, I thought “Oh hell naw.” This place is a complete bleep hole. Granted, the town had just been hit by the worst flood in the last 50 years and I’m rolling up about 24 hours after the city streets dried up. Let me paint you a vivid picture of what I was looking at: DUST, DUST DUST, dried mud covered every square inch of street, building, tree, plant, side walk, and ant. Piles, excuse me, MOUNTAINS of filthy garbage and debris from homes and buildings that gave off the most horrendous stench that could make a baby’s diaper smell like sweet roses. Dogs, stray rabies filled dogs, hungry, tired, abandoned and mean, looking for some Leash-Dawg to munch on, roaming the streets like they own the place. There was not a soul in sight, no buildings or markets open, no cars on the streets, no lights. I felt like I rolled up to a town during the wild wild west that had just been deserted after a shoot out. 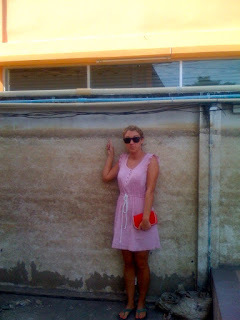 The water line from where the floodwaters had reached was taller than me in some places. This distinct line left its mark over the entire city as if to say, “Flood wuz here” like graffiti on the door of a bathroom stall. A building with a super high water line. Wall near my apartment with a water line taller than me. I'm 5"3'. 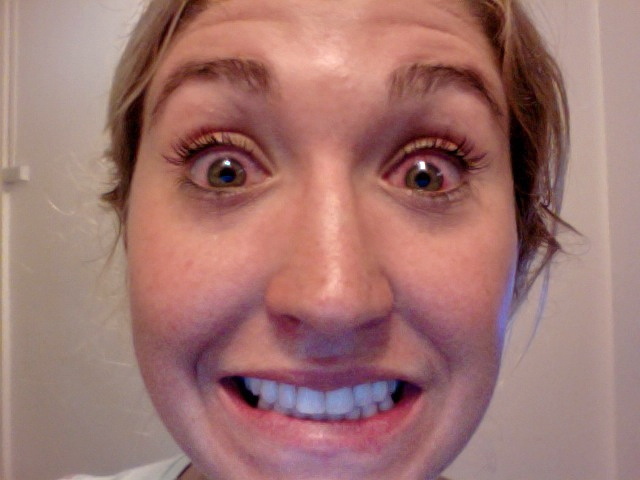 My poor eyes were affected by the dust bowl. River surrounding the island of Ayutthaya. Thankfully that didn’t last long. Not long at all actually. There was continual improvement in the city each day post-flood. Every shop owner, resident, and monk did his or her part to clean and restore Ayutthaya into the beautiful city it is. Ayutthaya was the ancient capital of Thailand for 417 years during 1350-1767. It’s actually an island and the water surrounding the landmass was originally crafted to provide a blockade against the Burmese. The Burmese burned down much of the capital and the city was abandoned, but bricks and skeletons of temples still remain. Longstanding temples and ruins are dotted all over the city and as the town continued to repair itself post-flood, tourism picked back up right where it left off. Soon the ruinous town was back on its feet after the devastation it faced. Wat Yai Chaimongkal from the back side. Wat Yai Chaimongkal from the front. It's huge! Wat Mahathat, so many ruins packed in this beautiful park. I’ve learned something great about Thai people, their persistence and determination for their home whether it’s their city, country, their place of business or their actual residence, is unstoppable. I admire their upbeat attitude and fortitude when it comes to getting the job done through a shattering event. 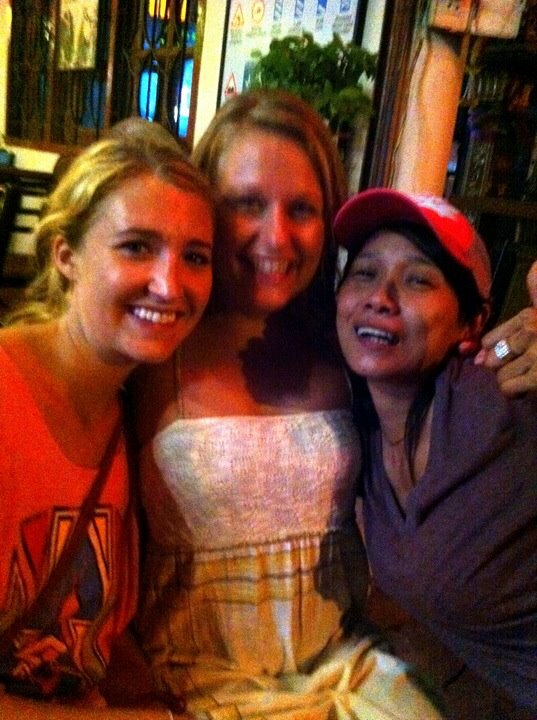 Friends at the "Moustashio Bashio"
I’m proud to call Ayutthaya my new home away from home for at least a little while. I love jogging through the ruins after school each day and having to move over for the elephant in my path. Catching the sun set over the ponds. Waving “Sawadee kaa” to the same familiar faces you see each day. I love the night market near my house and how the “spring roll lady” knows my face and my order without even asking. I love the group of foreign teachers and how we have our own community within the community, even though we’re from all over the world. I love riding my bike around the island and discovering old ruins, statues, and temples that are hundreds of years old right in my back yard-mixed with the modern conveniences of 7-Eleven. 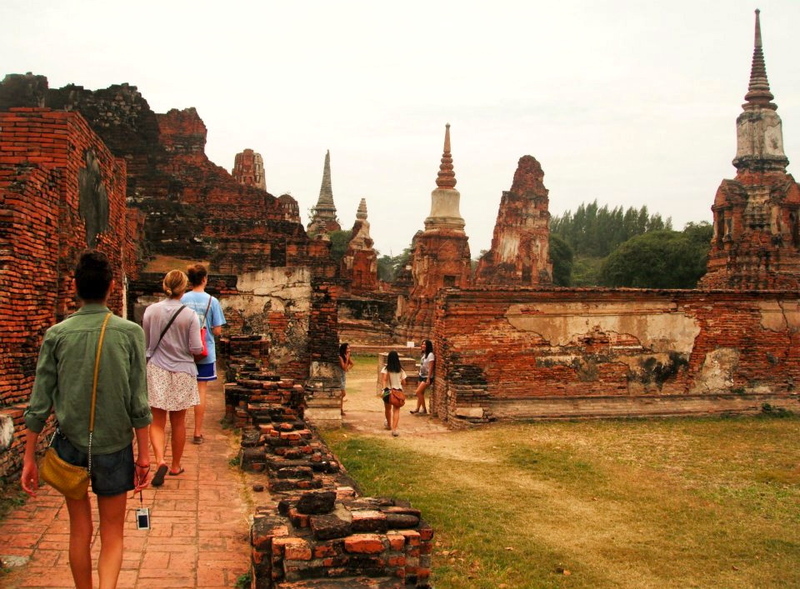 Ayutthaya is a true Thai cultural experience, not just a tropical tourist spot. I’m so glad I stayed during those difficult first few weeks, but I’m most thankful for my first hand experience at watching a city rebuild itself. Bangkok is a short (2 USD) hour ride away in an air-conditioned minibus for all my Westernized needs. View of Bang Pa-In from the watchtower. Bang Pa-In Palace – On the outskirts of Ayutthaya, a gorgeous and well-preserved royal palace is awaiting your arrival. The palace is covered in lush green grass and vibrant flowers. The estate gave off a very European feeling with its tidy landscape. The watchtower is a great place to get a bird’s eye view of the gorgeous palace. You can definitely spend an afternoon exploring the exhibits in several of the buildings as well as the incredible architecture. Glass maker creating trinkets at Bang Sai. The property is gorgeous in itself; while I visited there was a wedding reception on the grounds alongside a bird park and a freshwater aquarium. Buddha headstone at Wat Mahathat. Wat Mahathat – A park of ruins where you can take a walk alone, listen to a guided tour or let an elephant chaperon you through the park of remains. 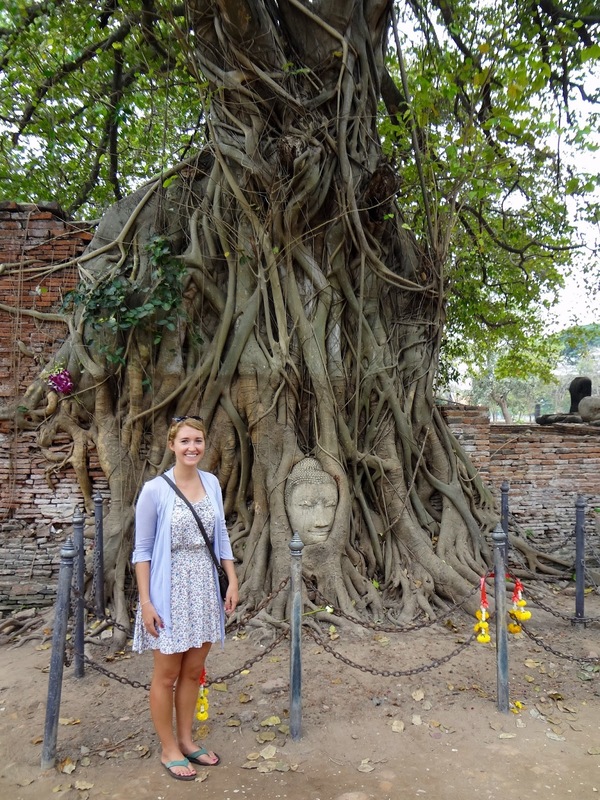 The famous Buddha head stone is embedded in tree roots among these remainders. Wat Phra Si Sanphet and Wat Ratburana are all in the same area as Mahathat so you can hit them all up at the same time. About a minute from my apartment, I jogged the path through the scenic ruins almost everyday. Probably my favorite thing about living in Ayutthaya. Reclining Buddha at Wat Yai Chaimongkal. Wat Yai Chaimongkal – “Yai” means big in Thai and that’s pretty much exactly why it’s called big Chiamongkal. There is a giant reclining Buddha where you can paste gold flakes to his feet and head surrounded by a giant wat. The grounds are encased by the 38 Supreme Blessings, which is the main reason I love this ancient temple. Golden Buddha inside the temple of Wat Phananchoeng. Wat Phananchoeng – Beautiful! There’s an enormous and jaw dropping golden Buddha inside. Located directly off the river, it is worth taking a boat tour around the island to see the massive, ornate structure. Night market near my house. Talad Na ng gan – People in Thailand traditionally do not cook dinner, it’s cheaper to eat out every night so there are markets solely open in the evening. Luckily, I had a rocking night market within walking distance of my apartment off Naresuan Road (near Wat Mahathat)– Fresh fruit, shakes, red curry paste, noodle soup, spring rolls, and omelets galore. As always clothes, shoes, and things you don’t need are available for purchase too. Ayutthaya Floating Market – The floating market is awesome. On the weekends, it’s a typical tourist attraction but there is so much fantastic food and high quality souvenirs to buy that the locals pour in during the week. The market is a maze of vendors on land and boat. Turn to your right there’s a lady selling mango and sticky rice on a boat, turn to your left – there’s a man selling giant chicken balls from a regular stand. We’ll get to chicken balls later. If you’re lucky, you can catch a performance of Thai dancing and soldiers reenacting the history of Ayutthaya. You can take an elephant ride directly next to the Floating Market. 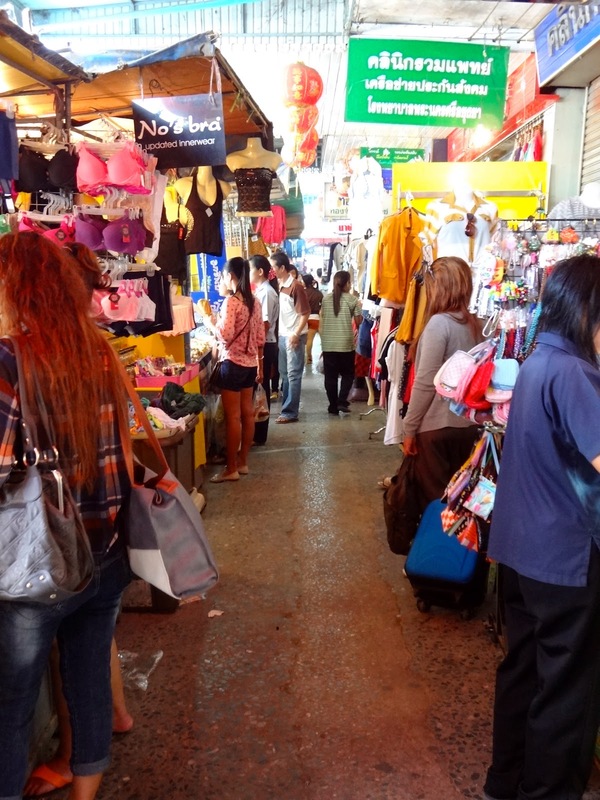 Main drag of Chao Phrom Market. Chao Phrom Market – WoW. Chao Phrom is the HQ of Ayutthaya. 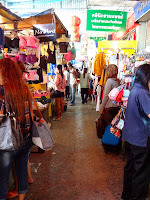 Directly across from “Soi Farang,” all the mini buses meet here, there is shopping and food plenteous. Anything you want to buy is hidden here. On the outside, the market looks like one narrow row chock full of goodies but veer off to the right and you will find yourself in a maze of accessories, clothes, bags, jewelry, and the kitchen sink. Hilarious owner at Chang House. Not much nightlife around these parts but “Soi Falang” (Foreinger Street) is nicknamed for all the right reasons. It has plenty of guesthouses, local bars with live music and Changs on your face all night long. Or at least until 12-ish when they start closing up. You’re sure to meet travelers from all corners of the world, or get tickled by the Thai kiddos hanging out at their parents’ bars. Chang House, Street Lamp, Jazz Bar, and Tony’s Place are all rocking establishments. Just enough western touches but not a tourist trap. Thai - Pretty much every market will have the best Thai food around. Street vendors that have a sit down option usually make the most incredible Thai food for about $1, can’t go wrong. Joyce owner of Ban Kaw Pod restaurant. 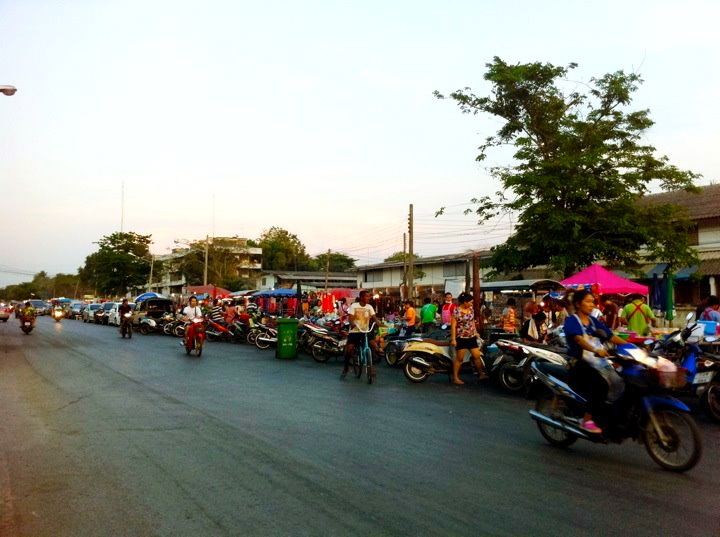 Ban Kaw Pod – A hidden gem a street over from Naresuan. Joyce, the owner, is super friendly and the food is delectable and price is even better. Joyce cooks right in the back with the freshest ingredients from the local market. Sai Thong – Grab a table with a fabulous view of the Chao Phraya River and enjoy amazing Thai food. This restaurant is located directly across the street from Chomsurang Upatham School, where I taught everyday. It’s also recommended on Lonely Planet. The crab fried rice is heavenly. On “Soi Farang” you can get a decent hamburger at Tony’s Place if you need some beef in your life and across the street at Plan B you can get a tasty pizza, a cheese plate and wine! Sherwood Guesthouse – Patrons can order an actual sandwich on a baguette and a legit Western breakfast with eggs, bacon, and toast. The portion sizes won’t disappoint you. There's also a swimming pool if you want to take a dip. 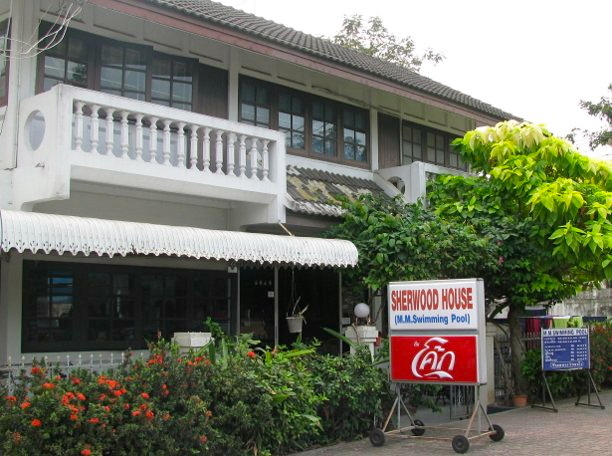 Midori Guesthouse or “Grandparent’s House” - I lived here during my time in Ayutthaya. I recommend Grandparents, as we like to call it, to anyone visiting the city. The ruins are right outside the door on Naresuan Road. There is a great sitting area in the front of the building where you can relax with a cold one or enjoy a meal from their full menu. You can rent a bike at Grandparent’s or simply walk to the ruins. The rooms are super clean and pretty much everything is new. The family who owns the place is extremely nice and they want their customers to have a wonderful experience in Ayutthaya. 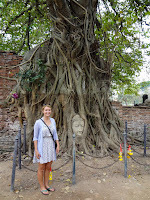 So much to see, do and eat in Ayutthaya, so little time! 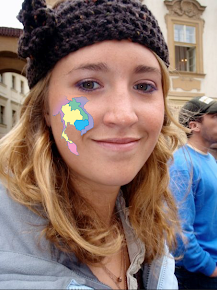 If you need suggestions please email me at Alycia@travelonmyface.com or post a comment. I’d love to hear from you! If you have recommendations to add let me know! Loved reading your blog as always!! 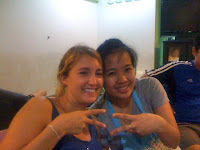 Im gutted I didnt make it to Ayutthaya!! guess I'm going to have to go back to see it! Thanks so much for reading, it's a great city. Now you HAVE to make a trip back to Thailand to check it out. It's definitely worth it! What a fantastic travel blog, I very much enjoy beef in my face.